I was perusing the latest issue and two items in their ‘News’ section struck me as being of interest some readers of this blog. 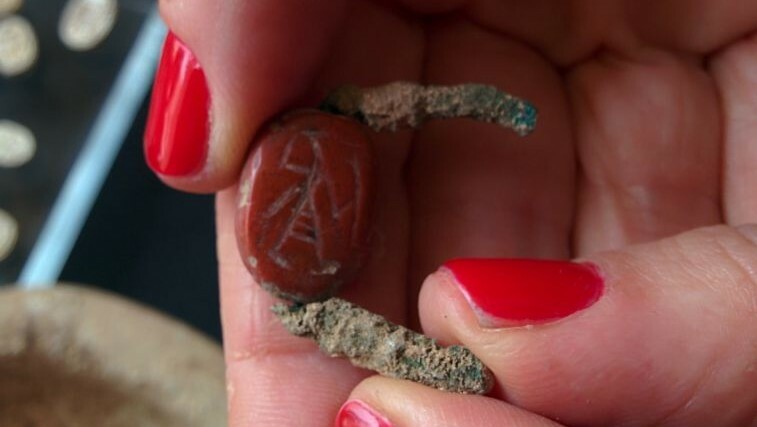 The AE reports that the Israel Antiquities Authority recovered a collection of Egyptian artefacts that had been discovered in a cave near Tel Halif, in the Kibbitz Lahav region of Israel. The earliest artefacts date from around the Late Bronze Age. Within biblical history, this roughly approximates to the time in which the book of Judges is set; pre-dynastic Israel, before Saul, David and Solomon and then the establishment of the Israelite and Judahite kingdoms. It is not at all surprising that we can find Egyptian objects from this period here as this would have been the time of Egypt’s New Kingdom era (Dynasties 18-20). It was during this time that Egypt’s borders were greatly expanded and the entire Levant, right up to the Mittani Empire in the north (see below), was under Egyptian rule. One of the interesting features of this find is that it also contains some much later items that relate to the Iron Age. Moreover, the report describes the collection as a mixture of Egyptian imports and “locally-made items crafted using Egyptian techniques and motifs”. 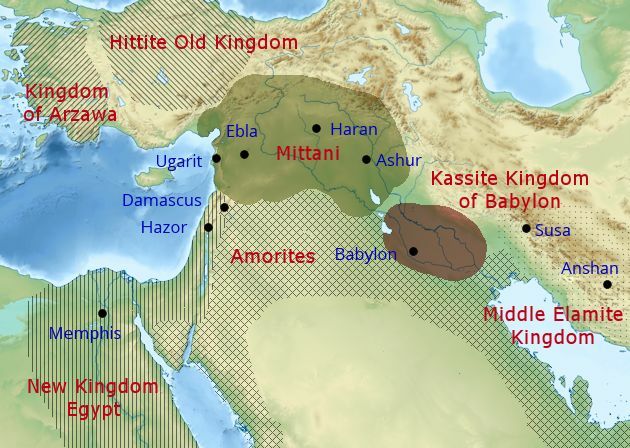 The transition into the Iron Age coincided with ending of the New Kingdom and beginning of the 3rd Intermediate Period – which would later give rise to the Late Period. During this time, the relative weakening of the Egyptian state meant that attention (politically, administratively and militarily) tended to be focused upon the administrative centres. Consequently, although still under Egyptian sovereignty, there appears to have been a concomitant withdrawal from the Levantine region, particularly from the less strategically important areas like the central hill country of Canaan. This enabled small kingdoms (ruled by ‘mayors’ and answerable to Pharaoh) to be established. It was within this environment that Saul and David are thought to have emerged. These later objects provide us with evidence that, despite the waning military power of Egypt and the establishment of Israelite/Judahite kingdoms, Egypt’s cultural influence continued, with local artisans adopting Egyptian styles, customs and craftsmanship as well as the Israelite élite importing Egyptian goods. This might help to explain further the ambiguous and sometime ambivalent attitude towards Egypt that is often reflected in the Hebrew texts. If you would like to read more about this story, you can find some more information (plus pictures) at The Times of Israel site. The second item concerns a medical papyrus that has been found at Oxyrhynchus. Those who know me will know that I am rather fond of Oxyrhynchus and the treasures of it’s dump! The papyri offer a unique window into the world of ancient Egypt and often into the ANE in general. Volume 80 of the Oxyrhynchus papyri has just been published and it contains some thirty medical papyri. 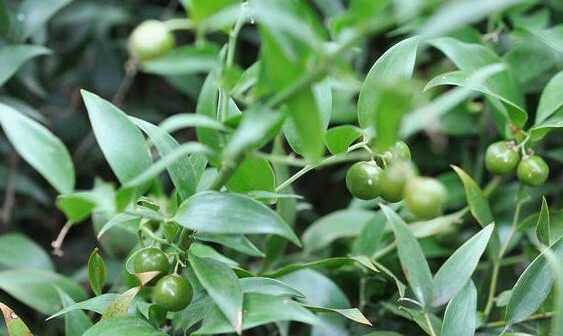 One of the manuscripts offers the advice of wearing a necklace made up of the leaves from the Alexandrian Chamaedaphne plant to cure the effects of a hangover. Quite how effective or widespread this treatment was is not known!